Located along the J. J. Pershing Drive and going north to the Blair Low Road, the bridge over the Ponca Creek was likely one of the first funded in Nebraska. There was mention of it being built in 1856 when other vital bridges were being constructed in the Nebraska Territory. The Ponca Road is not only road in the area, it is one of the most important to the Ponca Hills region of North Omaha. This is Louis R. Bostwick (1868 – 1943) on a drive along Ponca Road in the 1920s. The Ponca Road, located just beyond the bridge, is probably older than Omaha. Early reports from European settlers in the area talked about a “Indian trail” going alongside the Ponca Creek, moving along the bottom of the valley in the same way the road does today. Once home to the Ponca School, a quick jog to the Shipley Cemetery and other fixtures along its path, the Ponca Road was an important place for a long time. The Forgot Store served as an anchor for the surrounding area for more than 75 years, and today is a fun bar for people throughout the community. In the 1910s, it became a vibrant path for “autoists” from Omaha who liked the far-out feeling of the journey, its shady curves and beautiful hillsides, and other features. In 1919, a near-riot broke out when Ponca Hills farmers first organized against the new-fangled cars that were driving loads of instant thieves by their farms to shoot chickens, steal from their smokehouses and rip off their orchards. The farmers posted signs, waved down cars and stopped the calamities long enough for the newspaper to stop reporting on it. In September 1909, the Ponca Improvement Club held its first meeting at the Forgot Store to talk about fixing the roads in the area. More than 50 farmers in the area gathered and the treasurer collected more than $18 in initiation fees. The invitation fee was set at $.50 and dues were paid $.15 every three months. Roads were slowly improved afterwards. Within a year, county commissioners were taking bids to improve the Loop road, and the farmers were pleased. That same year, Douglas County awarded a contract to J. W. Williams to move 10,000 pounds of dirt from the surface of the road in preparation for other improvements. This is a 1940s pic of the Nebraska Public Library Commission Bookmobile in front of the old Ponca School at 12919 Ponca Road. Those improvements came soon. When early roads were being paved around Omaha, the Ponca Road was covered in light gravel in a process called macademization. Eventually, it was paved too and then not remembered as anything special. For a little while though, the road was called “The Loop” and was thought of highly. 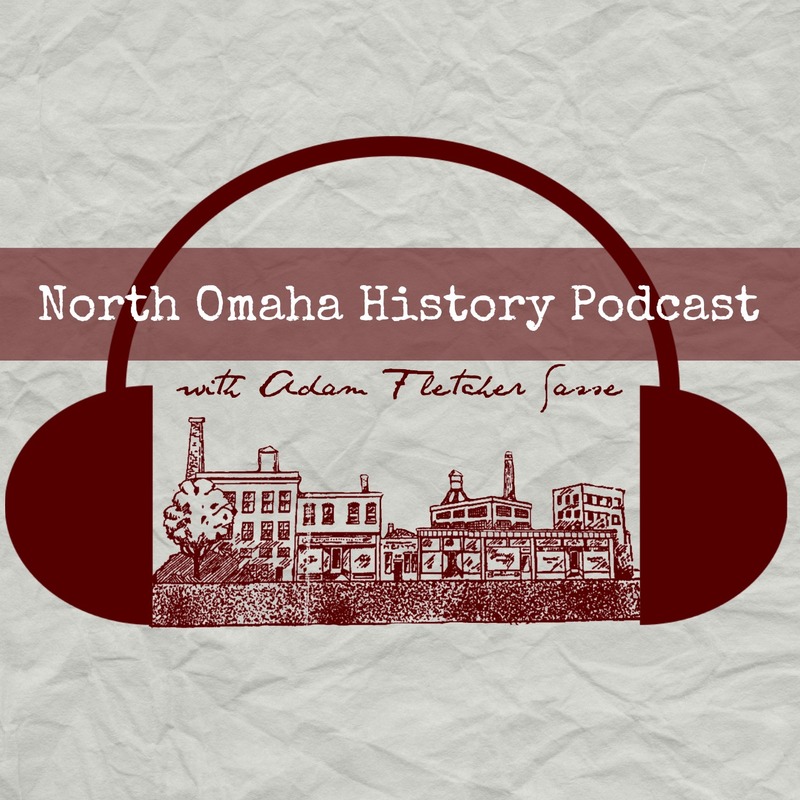 In 1921, there was a brief conversation about the State of Nebraska contributing money for the paving of a road between the Calhoun Road where it converges with Ponca Road, all the way south and east to the Florence Boulevard. Apparently this was never done, because no such road exists. It was during this same period that a lot of attention was being given to the River Road, and while it connected with Ponca Road and was actually part of J. J. Pershing Drive, little ever came of it, either. The Calhoun Highway was originally called the Washington Highway, and is numbered as Highway 73. Another once-important road in the area is called the Blair Low Road. There was a period in the early 20th century when sites along Ponca Road were the location of serious archeological research into the history of Native American villages and housing before European contact in the region. These sites serve as precursors to the nearby locations of Fort Lisa, Cabànne’s Postand other transitional contact sites. Today, the Ponca Road is a nice address to have in North Omaha. Meandering easily through a pleasant wooded rural area, it feels a world apart from Omaha, and its history lends to that feeling. While no historical markers or designation on the National Register of Historic Places honor its legacy, plenty of people have a lot of history on this fine drive.